Happy St. Patrick's Day!! 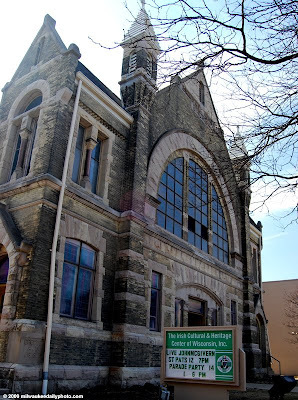 The Irish Cultural Heritage Center of Wisconsin is on located on Wisconsin Avenue near 21st Street. The building is an old Congregational church, and the stained glass looks gorgeous from the outside. I'll get inside and get some shots someday soon.